LOUISVILLE, KY WAVE) – Rain in the forecast has prompted several cities to change their Trick-or Treat times. Here’s a list of cities, counties and neighborhoods and their new Trick-or-Treating times. 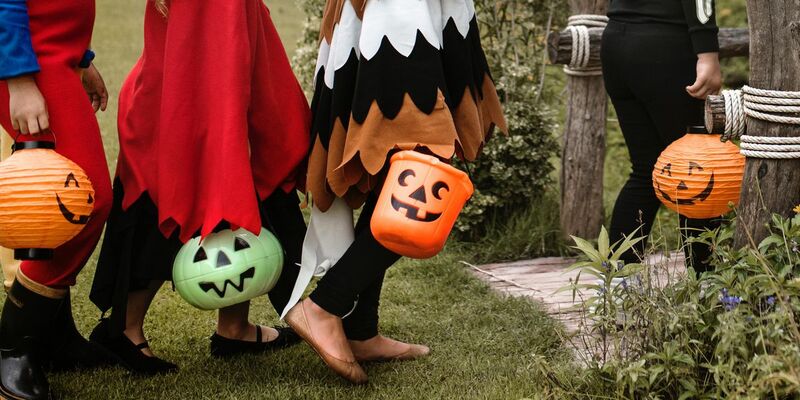 Charlestown: Trunk-or-Treat on the Square as well as city-wide Trick-or-Treating will be held Tuesday, Oct. 30 from 6 to 9 p.m.
Clarksville: Oct. 30 from 6 to 9 p.m.
Corydon: Oct. 30 from 6 to 8 p.m.
Madison: Oct. 30 from 6 to 8 p.m. Red, White and BOO will still take place on Wednesday, Oct. 31 from 6 to 8 p.m.
New Albany: Oct. 30 from 6 to 8:30 p.m.
North Vernon: Friday, Nov. 2 from 5:30 to 8 p.m.
Palmyra: Oct. 30 from 6 to 8 p.m.
Paoli: Oct. 30 from 6 to 9 p.m.
Scottsburg: Oct. 30 from 6 to 8:30 p.m. The Meadows (Jeffersonville): Oct. 30 from 6 to 9 p.m.
Washington County: Oct. 30 from 6 to 8 p.m.
Anchorage: Tuesday, October 30, 2018 starting at 5 p.m.
Ashby Woods subdivision: Oct. 30 from 5:30 to 8 p.m.
Ashley Woods subdivision: Oct. 30 6 to 8 p.m.
Beech Springs: Oct. 30 from 6 to 9 p.m.
Belknap neighborhood: Oct. 30 and Oct. 31. Briar Hill Estates, Oldham County: Oct. 30 from 6 to 8 p.m.
Brookhaven: Oct. 30 from 5 to 8 p.m.
Cheri Village: Oct. 30 from 6 to 9 p.m.
Cherokee Triangle: Oct. 30 from 6 to 8 p.m.
Cooper Farms: Oct. 30 from 6 to 9 p.m.
Douglass Hills: Oct. 30 from 6 to 8 p.m.
Goshen, KY: Oct. 30 from 5:30 to 8 p.m.
Highgate Springs: Oct. 30 from 5 to 9 p.m.
Highview Estates: Oct. 30 from 5:30 to 8 p.m. Hollow Creek: Oct. 30 from 6 to 8 p.m.
Jacobs neighborhood: Oct. 30 from 5 to 8:30 p.m.
La Grange, KY: Oct. 30 from 6 to 8:00 p.m.
Lake Forest: Oct. 30 from 5:30 to 8:30 p.m.
Lantana Drive: Oct. 30 and Oct. 31 from 5 p.m. to 9 p.m.
Lazy River North: Oct. 30 from 6 to 9 p.m.
Manor Creek: Oct. 30 from 6 to 8 p.m.
Meadowvale: Oct. 30 from 5 to 8 p.m.
Muldraugh: Oct. 30 from 5 to 8 p.m.
Oak Valley: Oct. 30 6 to 9 p.m.
Oldham County: Oct. 30 from 5:30 to 8 p.m.
Owl Creek: Oct. 30 from 5:30 to 8:30 p.m.
Pioneer Village: Oct. 30 from 6 to 9 p.m.
Plainview: Oct. 30 from 6 to 9 p.m. Pleasant View: Oct. 30 from 5:30 to 8 p.m.
Portland: Oct. 30 from 6 to 8 p.m.
Radcliff: Oct. 30 from 6 to 8 p.m.
Silver Oaks: Oct. 30 from 6 to 8:30 p.m.
Springview: Oct. 30 from 5 to 8:30 p.m.
St. Matthews: Oct. 30 at 5:30 p.m.
Sycamore Creek: Oct. 30 from 6 to 8 p.m.
Valley Village: Oct. 30 from 5:30 to 8 p.m.
Watterson Park: Oct. 30 from 6 to 8 p.m.
Winding Brook: Oct. 30 from 6 to 8 p.m. Decisions about when to trick-or-treat have to be made at the neighborhood level. With inclement weather expected on Halloween, I'd encourage neighbors to speak with each other about the best date for a safe, fun trick-or-treat. Find more fall fun activities on Derby City Weekend.